Flower gardeners often look for ways to stretch their dollar by using household items in the garden. Using newspapers in the garden is frugal and environmentally sound. When households toss their newspapers in the trash, they contribute to the waste stream made up by newspapers in landfills. That newspaper can take decades to decompose in such an anaerobic environment. 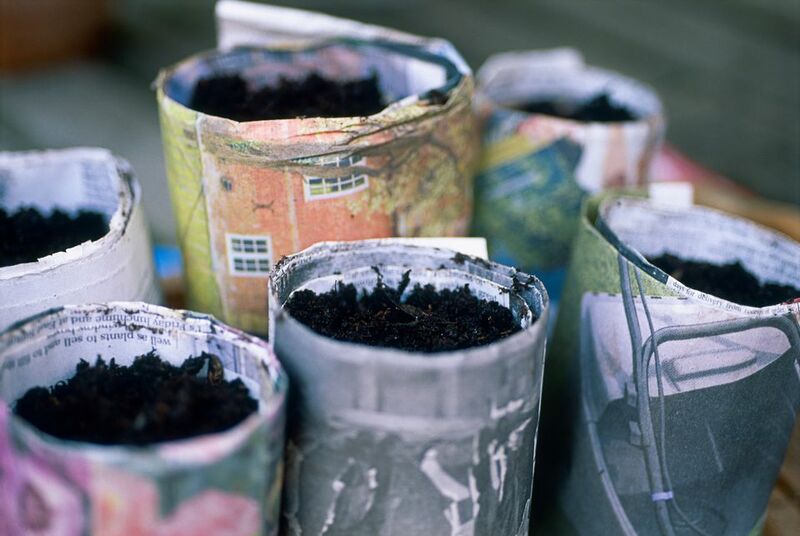 These recycling ideas will have you looking forward to a hefty Sunday paper so you can accomplish more in the garden. Lasagna gardening involves layering newspapers or cardboard, soil, and compost over a planting space to create a new garden bed. Newspapers make an excellent first layer in the lasagna garden bed, as they make an impenetrable mat that smothers weeds when soaked with water and placed one or two inches thick. Too many layers of newspapers can slow down oxygen transfer in the soil, causing root rot and drainage problems, but shredding the newspapers keeps the layer light and fluffy, allowing you to make a layer up to a foot thick. Use newspaper to loosely wrap frost-tender flower bulbs like dahlias and gladioli for winter storage. Newspaper is an environmentally sound alternative to storing bulbs in peat moss, which is an exhaustible resource. Don't stop with the flower garden; use newspaper to individually wrap your harvest from vegetable garden too, including tomatoes, squash, and eggplants. Veggies keep longer when their skins aren't touching one another in dry storage. A section of damp newspaper is an alluring place for nocturnal pests like slugs, pill bugs, and earwigs to hide beneath during the day. Place damp papers around garden areas at dusk, and collect the papers with their hitchhikers in the morning.